What is your favorite way to take a break and rest? A nice dinner (from Wild Ginger), Shabbat candles, a homemade challah, my family, that is all I need and then I like to sleep in late, take a run and go to an exercise class. Next I would go for some frozen yogurt and read a good book! That is what Shabbat is all about, taking some time to do what you like to do, that you aren’t able to do during the week. On Tuesday, October 30th we will come together by class to help enhance our Shabbat ritual practice by creating Shabbat ritual objects. Come join us and please share your story about your favorite way to take a break and relax. Shabbat school always brings back memories of a joyous childhood and a connection to Judaism. The topic yesterday was rituals and ritual objects. We journeyed to foreign places to investigate what Shabbat looks like in Uganda and India using the wonders of the Internet. 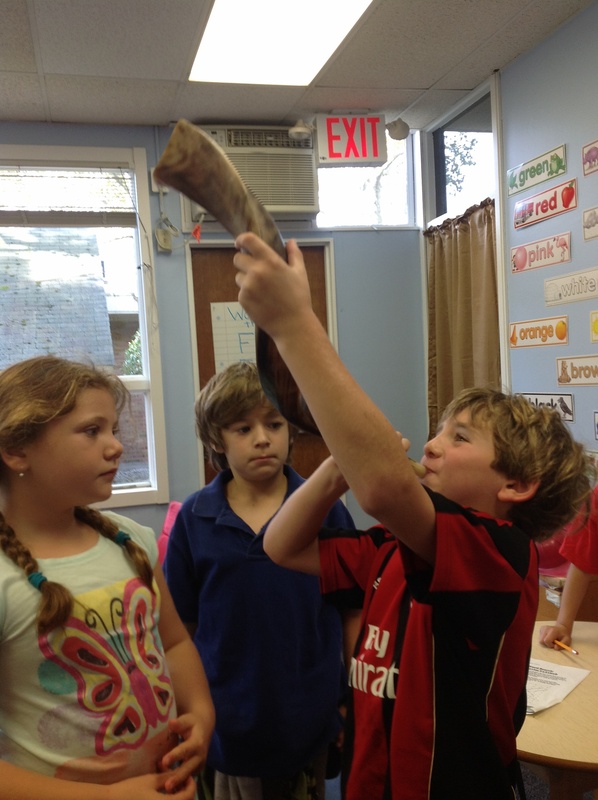 Ask your children what they thought of Shabbat in Africa and listen to their experimentation with the class shofar!